At UC Davis, El Shakry specializes in the intellectual and cultural history of the modern Middle East, is also a founding member of the Middle East/ South Asia Studies Program and is affiliated with their Critical Theory and Cultural Studies Programs. In 1945, psychologist Yusuf Murad introduced an Arabic term borrowed from the medieval Sufi philosopher and mystic Ibn ‘Arabi—al-la-shu‘ur—as a translation for Sigmund Freud’s concept of the unconscious. By the late 1950s, Freud’s Interpretation of Dreams had been translated into Arabic for an eager Egyptian public. 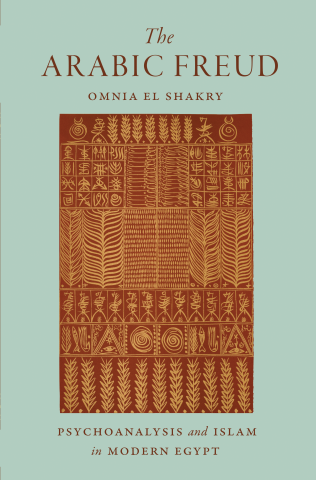 In The Arabic Freud, Omnia El Shakry challenges the notion of a strict divide between psychoanalysis and Islam by tracing how postwar thinkers in Egypt blended psychoanalytic theories with concepts from classical Islamic thought in a creative encounter of ethical engagement. El Shakry’s previous publications include The Great Social Laboratory: Subjects of Knowledge in Colonial and Postcolonial Egypt , and Gender and Sexuality in Islam: Critical Concepts in Islamic Studies.